Welcome to the PCTA, we are made up from parents, teachers and community representatives who are all interested in enriching the children's experiences in school. We meet every Tuesday in the family room to prepare resources for our fund raising activities and plan for future events. We also helped out with the annual attendance treat, Hawaiian Heaven. Our members also come into school to help to make toast, help out with trips and weekly swimming sessions as well as spending time listening to children read. As you can see there is something for every taste and we would love to have some more volunteers as you could have skills we have not tried just yet. We are always open to new ideas and suggestions and we look forward to working with you. Kensington PTCA aims to encourage good relations between staff, parents and others associated with the school, to support the school and to advance the education of the pupils in it. 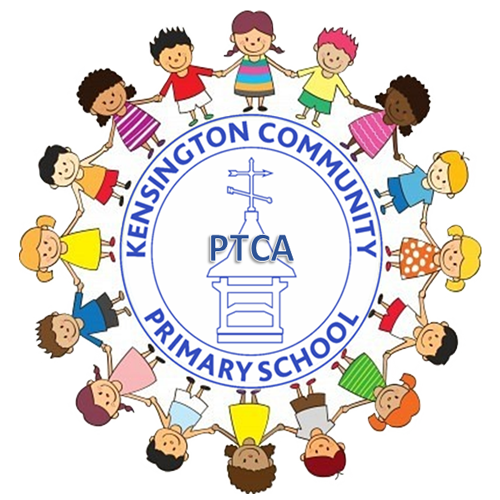 The objectives of Kensington PTCA are to organise fund-raising activities, to involve as many people as possible and to make the activities fun and enriching for the pupils! We will raise funds to help the school provide extra resources for the children by bringing together parents and teachers and working towards a common goal. We will run social events for parents and children; providing an opportunity for people to get to know each other and have fun. We will encourage parents to become more involved with their children's school and to develop strong links between home and school. We will provide support for school events and other special occasions. The PCTA also run a school bank. You can save each week, all money is collected on a Wednesday. Children can save their pocket money and even just saving 20p a week can lead to a nice little amount by the summer to spend on your holidays.